Former Kiambu Governor William Kabogo has joined a long list of other politicians who are be-friending Tanzanian artists. In the past, we have seen Hassan Joho, Sonko and even Raila enjoying the company of artists from the country. 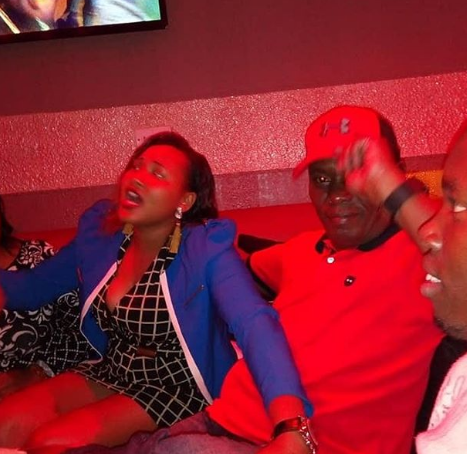 Photos and video of Kabogo and singer Harmonize in a club have now emerged. 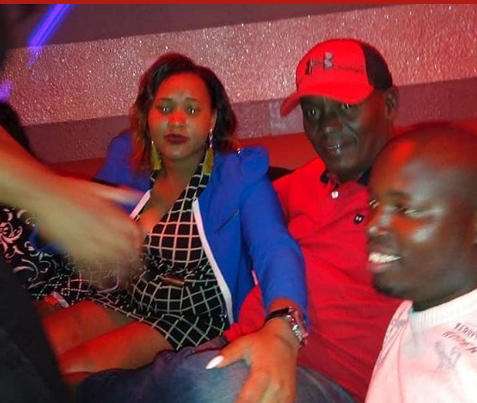 It also seems Kabogo was in the company of an identified light-skinned woman. 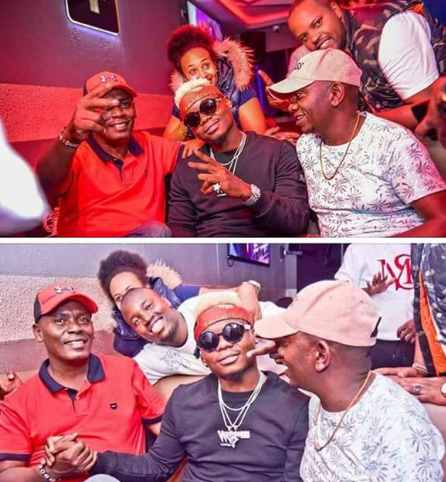 In the photos that have Kabogo clad in a red t-shirt, a matching cap and blue jeans, while his companion was donning a short black and white checkered dress with a blue coat, Kabogo is seen to enjoying the night at a popular club, probably in the VIP section, judging by the small crowd present there. 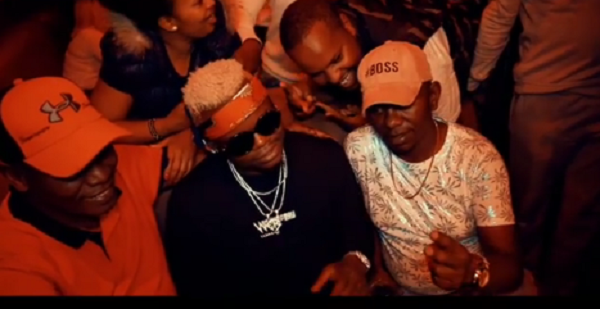 Harmonize was in whiskey River Lounge, a popular club along Kiambu Road launched recently. He had made an appearance for a meet and greet where he met Kabogo and other celebrities before he goes for a performance in Nakuru. “YOO …!!! NAIROBI #KONDEBOY NIKO HAPA TUPATANE @whiskeyriver_ke BADAE MIDA YA 9:00 PM NITAKUWA HAPO JUST FOR YOU THIS IS SPECIAL NIGHT FOR YOU MEET & GREET TUMWAGE MA SELFIE MJUZE MWENZIO MWAMBIE NIKO HAPA…!!! !